Looks at the effects of video-cassettes and cable television on Hollywood, and the idiosyncratic visions of newcomers like Spike Lee and Tim Burton. Covers a different era of importance to African American culture and includes the events, lifestyles, social history, and key figures unique to that time; included are eyewitness accounts and primary documents. Covers the time period of 1865 through 1965; topics include the arts, medicine and health, education, religion, government and politics, law, and trade related to the African American experience. This three-volume set introduces students to issues surrounding both current energy sources and alternative energy options. While there is significant discussion of the non-renewable resources now used to meet the majority of the world's energy needs (oil, coal and natural gas), the primary focus of the set is on newer options to meet the ever-growing demand. American Civil War Reference Library offers comprehensive and wide ranging research options on this compelling era of American history. Material in each of the three titles has been reviewed by an independent advisory board for its curriculum relevance and its accessibility to students in grades 6-12. Chronicles how theatrical feature films dominated newly developed movie palaces, how expressive film faces became household names, and how Hollywood became the center of film as a major growth industry. The ancient civilizations of Iraq, Egypt, India, China, Central America and other regions are the focus of this remarkable contribution to student reference. Covers the period of 1939-1949, when the film industry came to grips with the development of the documentary, a shift to independent production, renewed government antitrust activity, and the emergence of television as a competitor. The hairstyles, slang terms, advertising jingles, pop music sensations, and all else described as popular culture is covered in this five-volume reference. Arranged chronologically by decade and by broad topics within each decade, this set focuses solely on the popular culture of the twentieth century, offering more detailed information on trends and fads than any other resource. 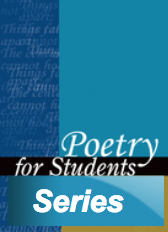 Written specifically for students in grades 5 through 12. Provides information for job seekers on various career areas. Each profile includes a job summary chart, a job description, and up-to-date salary information. Provides in-depth information on 112 known chemical elements. For younger and middle school students, but also appropriate for high school students. Covers the Cold War period between the Western powers and the Communist bloc from the end of World War II through 1989. Includes discussion of the historic causes of the tension and information on the lives and actions of major figures, such as Harry Truman, Winston Churchill, and Joseph Stalin. A handbook on collaborative teaching methods for grades 7-12. Discusses concept of collaboration, its benefits, variations in practice, presents a template for use. Includes collaborative teaching units for grades 7-12. Covers more than 400 prominent companies most studied by students. Entries follow a standard set of rubrics to facilitate comparison between companies. Also included are company logos, illustrations and ticker symbols, current market share, new products, and where to write for an annual report. Provides biographical and critical coverage of primarily U.S. designers, milliners, footwear designers, fashion companies and textile houses. Entries include a biographical summary; primary and secondary bibliography that includes articles and exhibition catalogs; and a signed, critical essay written by an expert in the field as well as photographs. Presents the cultural similarities within a country that set it apart from others by examining over 200 countries to document the myriad ways in which culture defines and separates the nations of the world as much as geographical borders do. Surveys each country's shared values, behaviors and cultural variations from foods and rituals to pastimes and arts, using a standard entry format for easy comparison. Provides illustrations, photographs and maps. 4 volumes. Covering the evolution of the American criminal justice system throughout history, Crime and Punishment in America Reference Library explores everything from juvenile justice to organized crime. In the second half of the 19th century, America transformed itself into an industrial power, ready to assume a dominant position on the world scene in the 20th century. The development of industrialization and the consumer society brought about opportunities for many Americans as part of an ever-growing middle class, but also resulted in environmental and social degradation that we continue to deal with at the present time. This dictionary contains more than 20,000 brief biographical entries on women, including thousands of entries on non-U.S. figures. A survey of clothing, costume and fashion. Coverage includes the origins of clothing and body adornment, the development of fabrics and technologies, and the social meanings of dress, as well as representative costumes from a wide range of historical eras. For students and researchers at the high-school level or higher. This six-volume reference includes more than 230 articles, ranging from 5,000 to 10,000 words, on everything from serfdom and the economy, to witchcraft and public health. This encyclopedia spans the globe to explain the issues behind crimes against humanity and human rights issues as they relate to individual countries and the world at large. It traces the history of events that qualify as genocide and crimes against humanity, profiles perpetrators and heroes, and explains international laws and law proceedings aimed at ending genocide and crimes against humanity. A four-volume survey of the history, cultures, geography and religions of India from ancient times to the present day. Includes more than 600 entries, arranged alphabetically. For students and general readers. A two-volume survey of the pursuit of leisure in the United States, from Colonial to modern times, presented through 271 alphabetically arranged entries. Coverage includes specific types of recreational activities as well as important themes in the history of leisure. For students, researchers, and general readers. This Encyclopedia considers both the professional ethics of science and technology, and the ethical and political issues raised by science and technology in an increasingly complex and global society. This broad coverage supports the numerous courses in applied and professional ethics and policy related to the practice of science and technology in education. Contains new and updated original articles covering recent concepts (i.e. adoption, race, the Constitution, birthright citizenship) and court cases since 1992 offering comprehensive coverage of all aspects of constitutional law, as well as biographies of people who have had an impact on our government's legal framework (Supreme Court Justices, Presidents, Cabinet Members, Lawyers, and more). Also covers judicial decisions handed down by the Supreme Court. A three-volume survey of the military aspects of the American Revolutionary War, covering the period 1763-1783. The alphabetically arranged entries include biographies as well as discussions of campaigns and strategy; battles, skirmishes, and naval actions; weaponry; political issues and events; and how the European powers participated in the conflict. For students, historians, and general readers. The set covers the modern history of the Middle East and North Africa, with major sections on Colonialism and Imperialism, the World Wars, the Israeli-Palestinian conflict and the United Nations involvement in the region. Each country in the region is reviewed, detailing its population, economy and government. A three-volume survey of the formative years of the United States, starting just prior to the American Revolution and ending with the inauguration of Andrew Jackson in 1829. Presents 671 alphabetically arranged entries focusing on the major political markers and milestones, as well as the art, music, literature and daily life, of this period. For secondary and college students, researchers, and general readers. Focuses on the substance of American law, the processes that produce its legal principles, and the history of the Supreme Court, from its creation to the present. Overview essays address the history of such topics as citizenship, due process, Native Americans, racism, and contraception, emphasizing the social context of each and the social and political pressures that shaped interpretation. A multi-volume survey of European history from the beginning of World War I in 1914 to the present, presented through alphabetically arranged entries that focus on the period's scientific, social and cultural history as well as the political, military and economic developments. For students and general readers. Provides a broad overview of costume traditions of diverse cultures from prehistoric times to the present day. Examines more than 430 items of human decoration and adornment, ranging from togas to turbans, necklaces to tennis shoes. Explores how and why items were created, the people who made them, and their uses. This set shows how clothing, headwear, body decorations, and footwear reflect the different cultural, religious, and societal beliefs. Illuminates daily life in slave society in America from colonial times to the end of the Civil War. Provides information on the business and regulation of slavery, the plantation way of life, work, family and community, culture and leisure, health and medicine, religion, resistance and rebellion, and slavery and freedom in the North. Focuses on the significant social and culture changes that occurred in the years 1878-1913. Spans all facets of gothic literature, including visual and performing arts, society and culture, themes, and settings. Includes primary source documents and critical material to provide a contextual perspective, a related chronology of key events, full-text commentaries, and lists of further readings. This wide-ranging, multidisciplinary encyclopedia describes and analyzes how the governments profiled affect citizens in the daily exercise of their rights and responsibilities. Arranged alphabetically and richly illustrated, Governments of the World features biographies and historical surveys on different types of political systems, such as constitutional monarchies, presidential systems, democracies and dictatorships, and much more. Studies the advent of color, big musicals, the studio system and the beginning of institutionalized censorship which made the thirties the defining decade for Hollywood, the decade that ended with "The Greatest Year in Motion Pictures" - the year of "Gone With the Wind", "The Wizard of Oz", "Mr Smith Goes to Washington" and other classics. This resource book offers broad, comprehensive coverage of the animal kingdom, ranging from the simple -- sponges and corals -- to the complex -- mammals. Animals are grouped by major classifications: sponges; corals; jellyfishes; segmented worms; crustaceans and mollusks; insects; fishes; amphibians; reptiles; birds; and mammals. History of World Trade Since 1450 starts at a year regarded as the beginning of the Age of Exploration and examines how the hunt for new resources and markets during that period resulted in the establishment of colonies in Africa, the Americas and Asia. The set looks at the Industrial Revolution, the rise of capitalism and the effects of imperialism on the global economy. Covers the history, politics, and ethical debate related to infectious diseases. Includes articles on how such diseases impact trade and commerce, travel, and the future of industrialized and impoverished nations. Zooming in on key locations connected to the American Revolution, this expanded and completely revised edition of Col. Mark M. Boatner III's original book goes beyond U.S. borders when profiling historical sites and landmarks significant to the war. The original state-by-state guide now also includes coverage of the war in the West Indies and an expanded treatment of Canada. Presents a myriad of viewpoints, so that modern readers can begin to grasp the complexities of war and its impact. Such stories give voice to the individuals who fight and are fought against, who are injured, who suffer on the battlefield and at home, and who, inevitably, can no longer speak for themselves. Examines dominant and recurring subthemes in the literature of war; including survival, terrorism, leadership, and genocide. Looks at how the emergence of new technology, such as steadicam and Dolby sound, and a new generation of talent challenged the old ways, with films like "Nashville" and "Five Easy Pieces". In 262 entries, this 3-vol. set examines landmark pieces of legislation, explaining the historical factors that led to the proposal of each act, looking at the adoption process and assessing each act's impact on American life. All aspects of legislation are covered, including the National Prohibition Act, the Civil Rights Act, the Family and Medical Leave Act, the Americans with Disabilities Act, the Fair Housing Act, the Freedom of Information Act and much more. Designed to meet the pressing need for a lucid, comprehensive and objective overview of the people, events and documents that are key to understanding the region. This supplement focuses on the Church in Modern History, particularly WWII and after. It also includes about 200 entries on the men and women who have been beatified or canonized since 2003. A scholarly supplement to the New Catholic Encyclopedia that focuses on the pontificate of John Paul II and includes thematic essays presenting the man and his work. Headings include: The Papacy of John Paul II; Church Documents; People and Places; Institutions and Events, Saints and Blessed. Addresses the entire history of African cultures from the pharaohs and the ancient civilizations of the south through the colonial era to the emergence of 53 independent countries, some of them newly emergent in world commerce and others deep in conflict. Covers issues facing the continent such as global development, the AIDS crisis, and international terrorism. This two-volume reference examines the relationship between food and health on a historical, national and personal level. It analyzes how nutrition has affected quality of life, health and fitness in various countries at different times in history. In-depth information on major political theories and systems from all time periods. Each entry begins with a general overview of the system/theory followed by a discussion of the principal aspects of the theory, the theory's philosophy and an analysis of the historical context in which the theory was developed, including critical response. Presents in-depth profiles of each American president and his administration. Includes black-and-white portraits of the presidents and extensive bibliographies. Also features a new history of the White House and a general introduction to the presidency. For students in grades 10 and higher, as well as general readers. A survey of the Renaissance-era topics most studied in high school world history, art literature, economics and science curriculum. Presents 465 alphabetically arranged entries broadly covering people, places, events, concepts, works of art and literature, and scientific achievements from around 1350 to 1620. For students in grades 7 and higher. The Roaring Twenties Reference Library chronicles and illustrates a time of great social change in everything from fashion to music to politics. Collection of essays by Shakespeare scholars that have been selected for students at the high school or undergraduate college level. Each entry includes an introduction; a plot synopsis; a character list; a discussion of the work's principal themes; information about the style and literary devices used; a conversation about the work's historical context; and a critical overview. This collection chronicles and illustrates the important period between 1783-1815 when America forged its place at home and on the international stage. Includes more than 2,700 signed essays ranging from 500 to 2,500 words, written by subject experts and edited to form a consistent, readable, and straightforward reference. Entries include subject-specific bibliographies and, where appropriate, photographs and textual cross-references to related essays. Profiles major U.S. Supreme Court decisions that have made a significant impact on American society. Each volume is organized by broad legal principles such as individual liberties, criminal justice, equal protection, and business and government law. Within this framework, case entries are arranged under the more specific legal issue to which they relate, such as affirmative action, capital punishment, freedom of speech, and monopolies. Provides an overview of the beginnings of cinema through the first boom in the specialized moving-picture theaters known as nickelodeons, looking at the initial years of projected motion pictures and their aural accompaniment from 1895 to the fall of 1907. Early American cinema is examined as an industry and as an influential cultural practice in the context of a centuries-long history of projected images. Provides in-depth coverage of neurological diseases and disorders, including stroke, multiple sclerosis, Parkinson disease, Tourette Syndrome, Alzheimer's disease, cerebral palsy, vertigo, amnesia, and epilepsy, targeted to patients, their families and allied health students. Related topics include communication aids, electric personal assistive mobility devices, medications, and the needs of Alzheimer patient caregivers among others. This single-volume, accessible resource covers the entire spectrum of psychology, including: notable people, theories and terms; landmark case studies and experiments; applications of psychology in advertising, medicine and sports; and career information. More than 650 articles -- 65% of those are entirely new or updated since the last edition. Responding to the surging interest among students for information on topics relating to magic, witchcraft, the supernatural and other mysterious phenomena, Gale presents this in-depth, comprehensive 3-vol. set. Information is arranged in an objective manner, presenting varying viewpoints when appropriate, and is written at a level that younger students and researchers can understand. Covers an array of topics on the Middle Ages including daily life, art and architecture, science, religion, politics, women's issues, and more. Examines the issues of this period, including competition with other leisure activities, transformation of the theater, changes in production, and the arrival of conglomerates. Chronicles the film industry's transition from silent films to sound cinema as it takes a critical step on its way to becoming the modern business enterprise of the 1930s. Chronicles the history of the American film business from the days of the little store-show nickelodeon to the premiere of D. W. Griffith's The Birth of A Nation, looking at the imbalance of the "Griffith did it all" cliché by discussing the efforts of countless lesser-known figures who also helped to create Hollywood and shape the growing American film industry. The effect of the surroundings are all examined for their impact on the filmgoing experience. Explores the challenges American cinema faced in the 1950's from the divorce of production companies from theater chains forced by an anti- trust decision, to the growth of television. Offers students and researchers comprehensive information on 12 of the Earth's major biomes and its many component ecosystems. Includes entries on land and water biomes, and covers climate, vegetation, animal life, food web, plant and animal adaptations, endangered species, human effects on the biome, and more. Introduces students to the topic of weather and natural disasters, covering such topics as weather basics, weather phenomena, forecasting, and climate. Provides information on the scientific aspects of various types of disasters including: blizzards, earthquakes, flooding, tornadoes, volcanoes, and wildfires. This title traces the progression of this controversial war from its beginnings in 1941 with the creation of the Vietminh guerrilla force under Ho Chi Minh, through its last days in 1975 with the fall of Saigon. It covers high ranking government officials both foreign and domestic, antiwar activists, and soldiers and provides a variety of perspectives on the country's involvement in the war with excerpts from screenplays, literature, speeches and hearing testimonies. Covers major topics related to the period, including the roots of the war; causes of U.S. involvement; the Espionage Act and Sedition Act; weapons of mass destruction; and more. Profiles the major players of the period, including Woodrow Wilson, Kaiser Wilhelm II, John Pershing, and Henri-Philippe Petain. Presents full or excerpted primary source materials, including diaries, speeches, letters, journals and memoirs. Provides background and information on major topics about the World War II period, biographies of significant men and women involved in the war, and primary sources such as full or excerpted speeches, diary entries, newspaper accounts and other original documents. Guide to the scientific processes and the legal, social and ethical issues involved in the forensic sciences. Covers theoretical and practical treatment of all aspects of sports science and exercise physiology, kinesiology, and biomechanics. Particular emphasis is placed on such high-interest topics as sports medicine, specifically the prevention, diagnosis and treatment of sports injuries; and much more. In 1,800 pages across 3 volumes, Worldmark Encyclopedia of Religious Practices provides information on current religious practices around the world with an emphasis on how religions impact the daily lives of their followers.